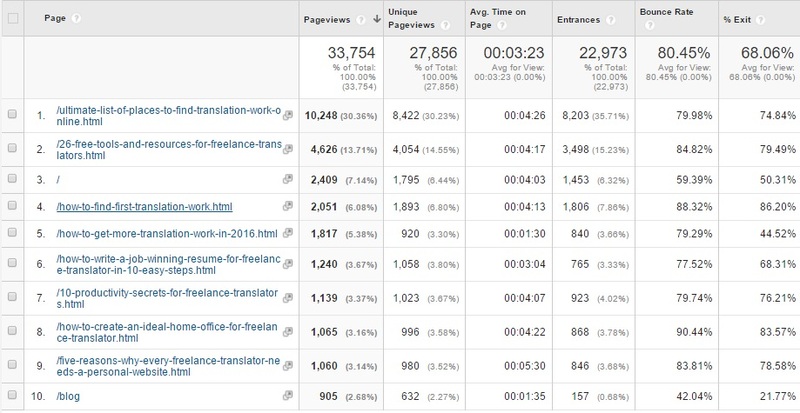 Four months ago on 10th October 2015, I started Russian Translator Pro – blog about freelance translation business. I set up a goal to reach 1,000 email subscribers before the 10th of March but today I realized that this goal is already achieved. I’m very pleased to see how my blog grows and I want to share the results with you, my friends. First of all, I would like to thank all my colleagues and subscribers for support and kind words. Over the last four months, I got many lovely emails, personal messages of Facebook, Twitter and LinkedIn with positive feedback on my blog posts. I will try my best to continue work on Russian Translator Pro and share my knowledge about freelance translation. I also want to mention some blog statistics like the number of visitors and subscribers, the most popular articles posted during these four months and make an announcement about the new resource I’m going to launch soon. Taking into account that four months is not a long period for a blog, I would say that website statistics seem really impressive, at least for me. In total, ~14 thousand users visited my website from October 10, 2015 to February 10, 2016, with the overall number of pageviews reaching 33.7 thousand. As forecasted by many web analysts, social traffic would prevail over other traffic sources in 2016. Facebook generates the major part of social traffic worldwide. 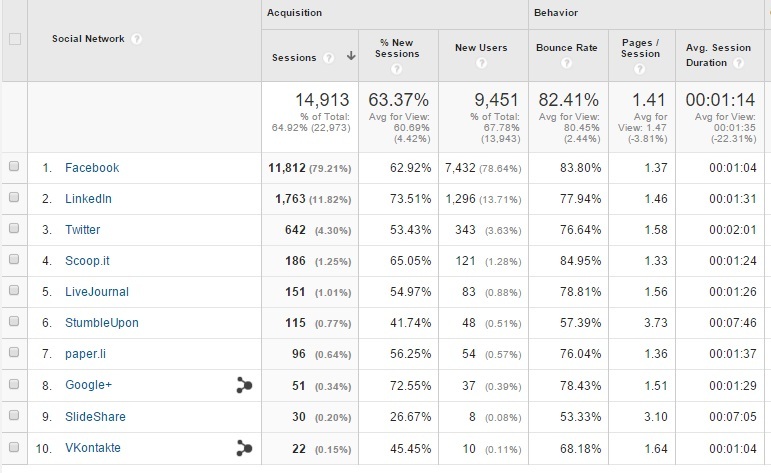 During four months it brought over 11,800 sessions to my website. LinkedIn and Twitter took the second and the third place respectively. That means I have to pay more attention to my Twitter account. Direct, referral and organic search still bring little traffic but I hope that the performance of these sources will improve over time. 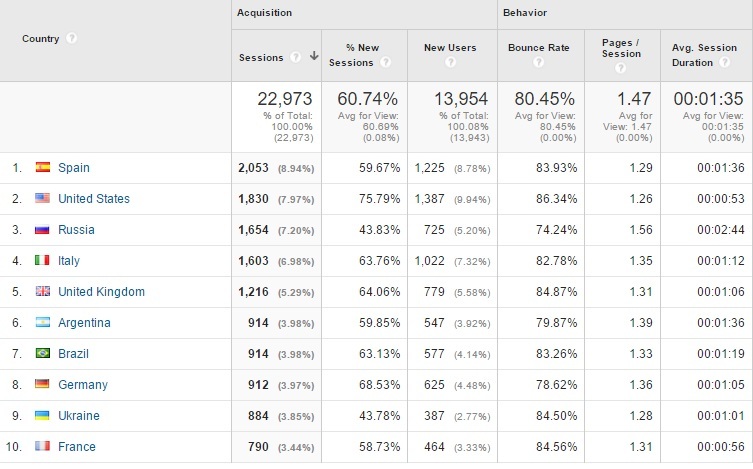 Spain, United States, and Russia still hold leading positions among top countries forming the website audience. Thank you so much, guys! Subscribers probably are the most effective part of the website audience. Since email communication is more personal, it brings more trust and attracts already involved people to visit your website through personal email updates. I really appreciate my subscribers’ attention and I hope that all of you enjoy reading my posts. However, if you have any suggestions on how to improve my email campaigns, please do not hesitate to contact me via the contact form on the homepage or directly from email message you receive as a weekly update. 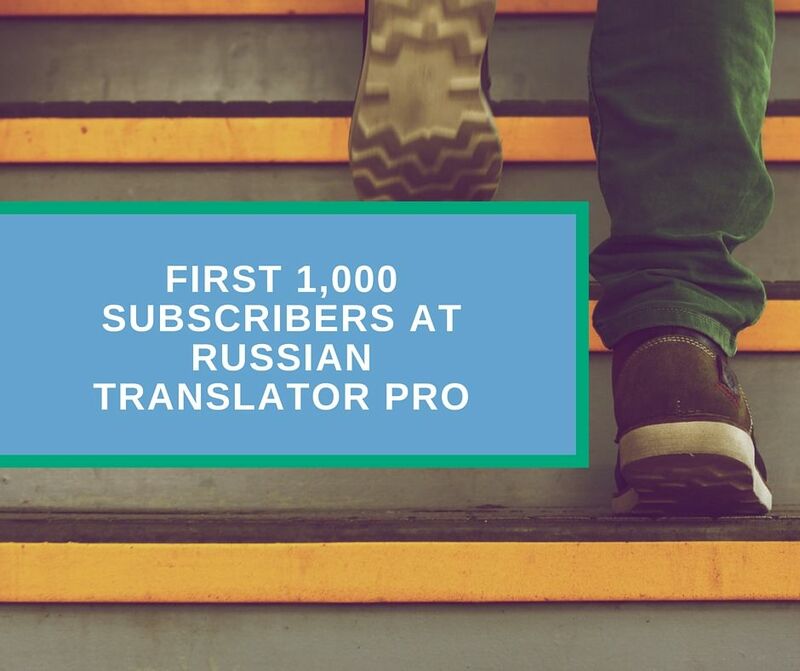 As of today, there are 1,000 awesome subs on Russian Translator Pro!!! Managing many social profiles is really hard. You may succeed with one or two, but not with all of them. Unfortunately, now I don’t have enough time and resources to manage all my social profiles equally good. Probably I will have to hire an SMM assistant. However, I still make experiments with social media services to create better engagement. I invite you to visit and join my Facebook page where I share many interesting articles from other blogs and resources related to the translation industry and freelancing. Finally taking into account that the English version of Russian Translator Pro became rather popular over the last four months, I decided to create the Russian version of this website to cover Russian-speaking audience. I know that many Russian translators work in other language pairs and probably don’t know English. That’s why I believe that Russian version can become popular too. Time will tell whether this is true or not. That’s all for today! Thanks for your attention and for reading my blog!